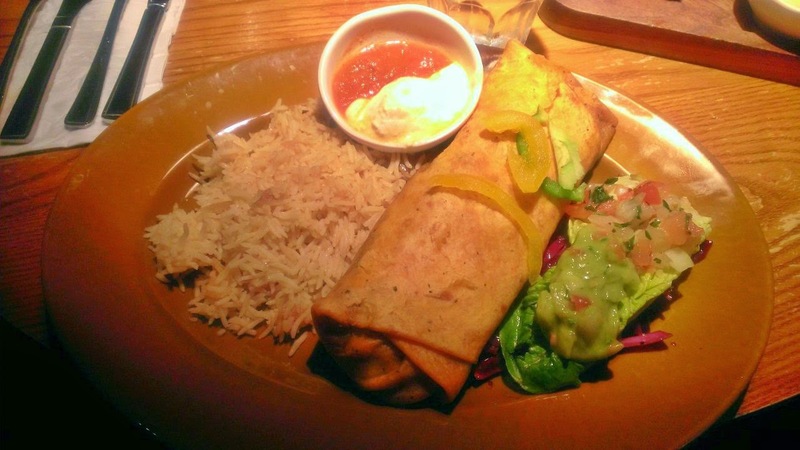 Recently I was offered the chance to review the well known restaurant Las Iguanas which some of you may be aware of, if not they a chain of Latin American restaurants and they are beyond amazing! Their menus are huge and they offer a huge range of Vegetarian and Gluten free food also, which is great. I visited the Birmingham restaurant with one of my close friends who is also a blogger Sophie and we couldn't wait to tuck into their food! Firstly when we arrived we were greeted by the assistant manager Jess who asked which of us were Dungarees and who was Donuts which we found hilarious and she told it was happy hour on some of their drinks an offer we couldn't refuse getting a Strawberry cocktail which was super yummy! As Sophie is a vegetarian and I don't often eat meat we both had Vegetarian meals. For a starter I had Nachos and the portion was HUGE and served in a pan which was a great touch and Sophie had an artichoke salad (not my thing but she seemed to enjoy it) my starter was so filling and I couldn't finish it so Sophie helped me, my main was a Home Style mushroom Burrito which I enjoyed but was far too full to finish it all but it was lovely and not like anything I have ever tried before so it was a thumbs up from me and Sophie had Gringas which looked super yummy! We also had a side of their gorgeous Sweet Potato Fries- which were out of this world, I have tried them in wedges form but these were on another level of yummy these came with a chilli dip which I wasn't brave enough to try but Soph loved it! The staff were all super friendly and always smiling, we were given prompt service which often doesn't happen in restaurants, and everyone seemed to be having a great time! 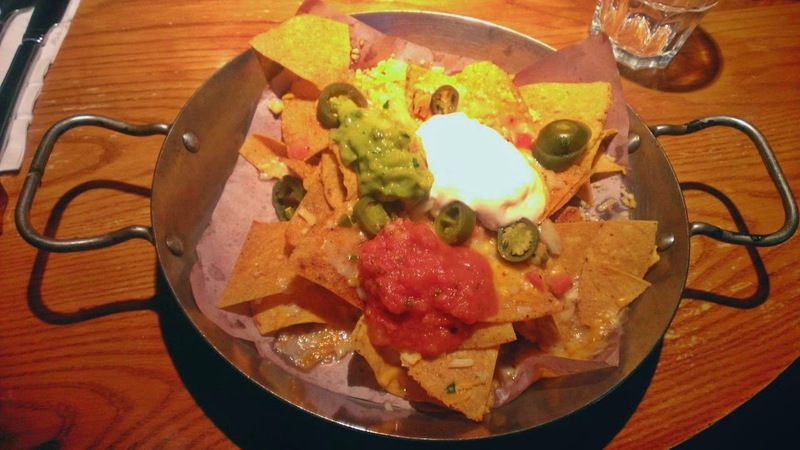 The restaurant has a great vibe about it and has a great layout, I enjoy my visit to Las Iguanas and I would recommend it to anyone looking for somewhere different to eat! That looks delicious! Having lived in Mexico, I'm always on the look out for Mexican/South American restaurants to try and I'll give to give it a go! Never been to Las Iguanas because for some reason I didn't really know what it was but it looks just up my street, definitely on my list to try! 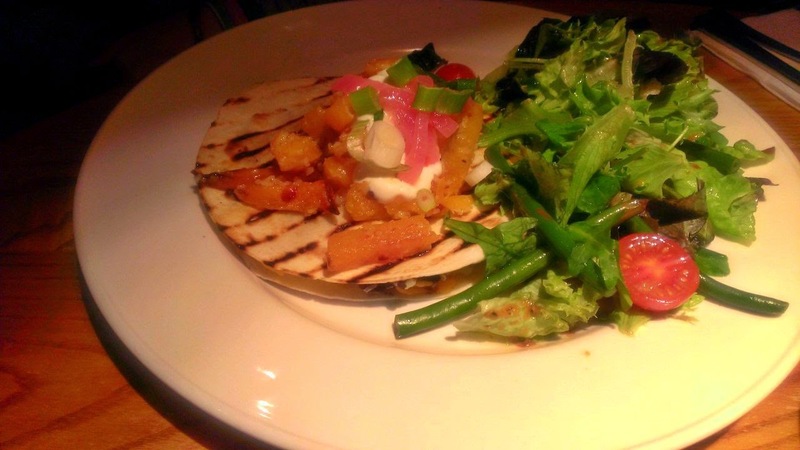 I haven't been to Las Iguanas in over a year after my last experience was terrible. The staff were rude, their service was rubbish as they were lazy, and they tried to charge me for things I didn't even have! Other than that my times before then were lovely. 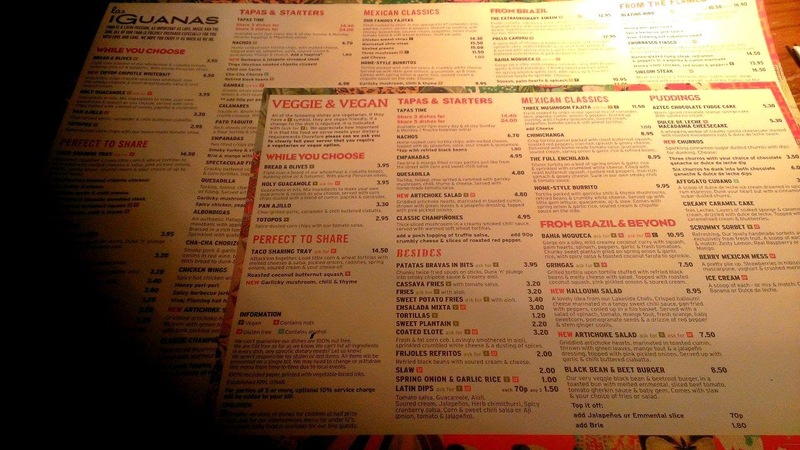 I love Las Iguanas, it s one of my favourite restaurants and probably my favourite chain restaurant! oooh wow so so jealous! 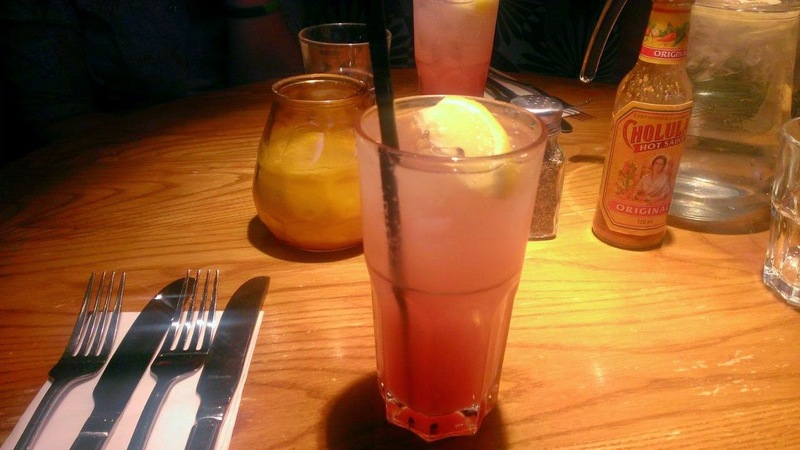 Las Iguanas is one of my fave restaurants by far! Such gorgeous food, thank you muchly for reading my blog- I love yours! Las Iguanas is somewhere I always want to visit when people mention they've been, but I never think to go there any other time. The food looks great.